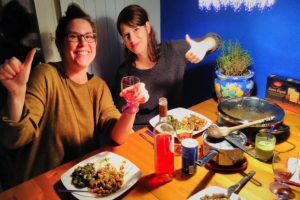 Cooking & enjoying an Indian meal with loved ones is a great way to celebrate: birthdays, anniversaries, girls’ night out, romantic dinner, Bachelor/Bachelorette parties, baby showers, Christmas, Halloween, you name it. Bring your friends or family to my place for a private class, or I can come to your place with my spices. A special way to celebrate a birthday! Be an Indian Princess, for Bachelorette and Girls’ Night Out. 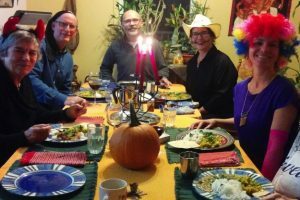 Shorter cooking lesson & meal, followed by dress up, dance, fun! *Duration: 3 hours, including meal. *Advance planning (3-4 weeks ahead) and payment (1-2 weeks before the event) needed. *We will cook a 3-dish vegetarian meal developed in discussion with you. Some people just leave the menu to me. *You will receive detailed recipes and a list of where to buy Indian ingredients. *Cultural dimensions can be added, like storytelling, and I can bring music. * All prices quoted include taxes. This formula can be varied. Let’s talk: 514-839-8264! Check out the menus. Very important: Tell me about allergies and food sensitivities at the time of booking. 6-8 people @ $50 per person. * I can give a similar class at your place with the same price structure as above, but with minimum payment of $240. *Also you provide staples like rice, lentils, vegetables, oil, etc. I bring spices and hard to find Indian ingredients. *Maximum number of guests depends on size of your kitchen and how its equipped. *Once we set a date we will need to finalise the menu and talk about your kitchen set-up. *A few days before class, I will send you an ingredient list. *I will come to your place an hour before the class starts to do set-up with you. *You hire me @$50 an hour to cook a meal only with you for a few guests at your place. 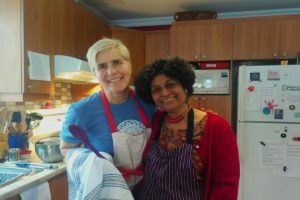 *It’s a private cooking class for you and you treat your friends and family to a great Indian meal. *Minimum payment I would need is $150. 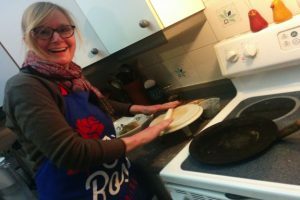 This pricing includes cooking a 3-4 dish meal for up to 8 people in about two hours, plus kitchen setup time and some commute time. A more elaborate meal for more people would take more time. *As above, you provide staples and I bring spices. Girls’ Night In — Be an Indian Princess! Guys Night In also possible. 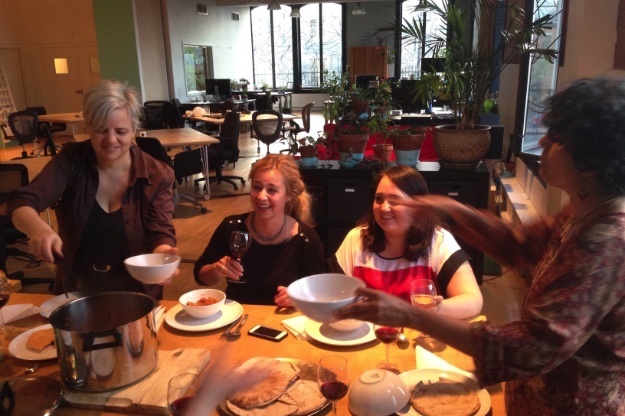 Have a normal class, as above, or a variation with a one-dish, 1 hour cooking class, followed by meal and dress-up. You can try on sarees or other Indian clothing, and jewellery, and take some selfies! (Bring make-up if you like.) Music! Dance! This kind of event can only be done at my place. (6-8 people; starts @ $35 pp) BYOB. *I live near Metro Papineau. I don’t drive and I would commute by public transport. If the transport time is upto 45 mins, one way, I don’t charge for my commute time. If it’s going to be more let’s talk. I have also used a combo of public transport and getting a ride from my clients. *I am happy to go outside Montreal as well using bus or train; hosts cover transport costs and transport time is also a consideration. *Then again people from distant Montreal suburbs and out of town have converged at my place. Refer to Private Class at My Place above.